The following projects were created by the participants of the Jewish - Latino Outreach program and their community partners. Each project is designed to build bridges of cultural understanding in the community, while applying the practical focus of the program. 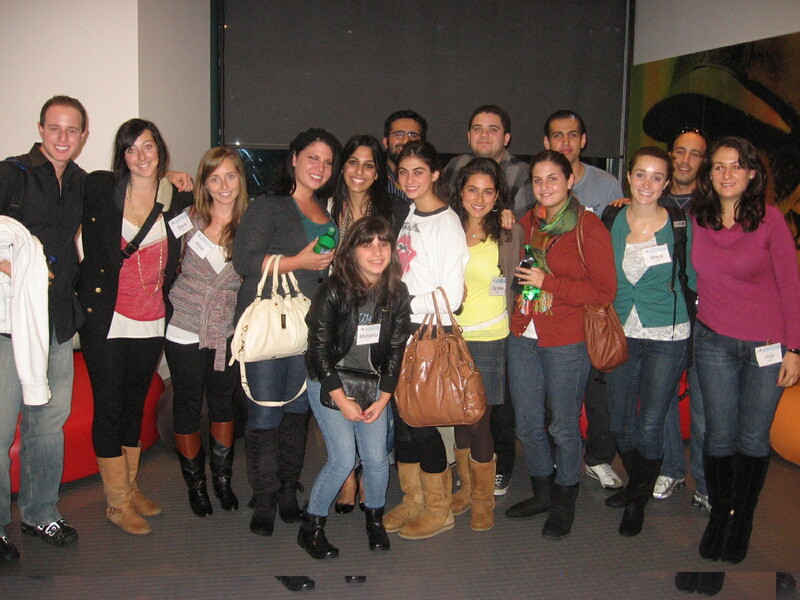 The Israel Education Group worked to develop and host dialogues with the Latin American Students' Association (LASA) and MEChA of UCLA. The group continues to develop ongoing dialogue plans and outlines for future partnership sessions with Latino groups focused on general Israel education and advocacy. 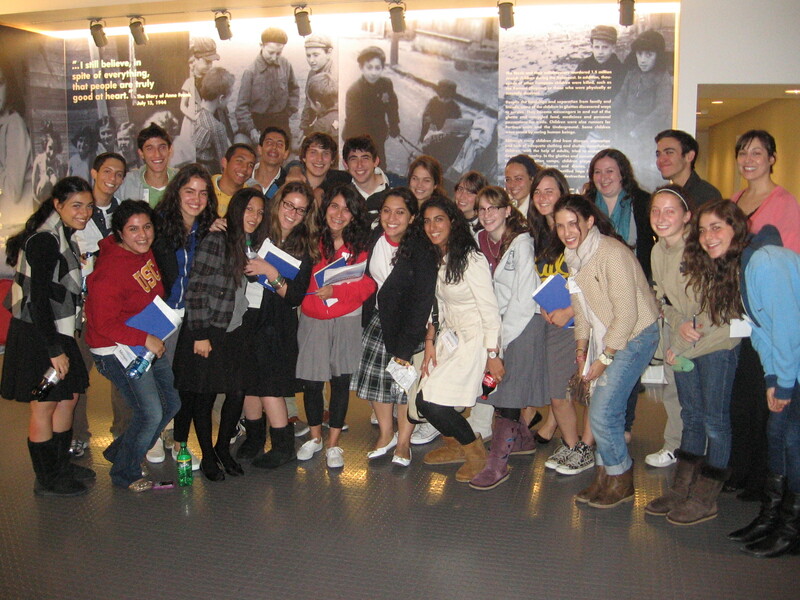 The Holocaust Education and Outreach Group worked with Latino students from Hamilton High School on a project entitled, Bosques and Butterflies, which provided Holocaust education and awareness of the accomplishments of Gilberto Bosques, the Mexican Consul-General in France during World War II, who saved many thousands of French Jews from Nazi persecution. The group also conducted a series of projects including discussions with Holocaust survivors and contributed to the Butterfly Project, an ongoing worldwide program creating a ceramic butterfly for each of the 1.5 million children who died in the Holocaust. The group also participated in the MOT’s Yom Hashoah commemoration event, and Latino students from Hamilton High School translated parts of the MOT's "Courage to Remember" Holocaust exhibit into Spanish, for possible future display. The Jewish-Latino Dance Group hosted a successful dance event at the UCLA Hillel in April that featured live performances by an Israeli dance group and the Grupo Folklorico de UCLA. The Cooking and Culinary Group focused on mutual education about Jewish and Latino cuisine, and hosted a Seder at Hamilton High School featuring a fusion of Jewish and Latino foods. The group also participated in the Challah for Hunger program, which works to raise money and awareness about the victims of the genocide in Darfur. The Web Blog Group created a website (http://thelaju.blogspot.com) featuring information and resources related to Jewish and Latino cultures, and the JSL program. The MOT Courage Exhibition Group worked closely with the Museum of Tolerance’ management and staff to devise and deliver tours to Latino visitors through the MOT’s new Courage/Para Todo Los Ninos exhibit. The group also developed outreach strategies to Latino groups around Los Angeles with the aim of encouraging further tours of this exhibit.